Winners will be announced via email first week of October, 2019. The International Music Licensing Contest is a community based online contest platform where Independent Musicians receive help from Top Professionals in the Music Industry towards achieving their goals and dreams in the areas of Composing, Songwriting, Collaboration, Production, Engineering and Licensing — while competing for Prizes — including cash, international exposure and having their music presented to top Music Industry Executives for licensing opportunities. Our judges include some of the most accomplished music industry experts in the field of Music Licensing and Production. 1. A written pdf critique of each of your recordings, giving specific tips on how to improve composition, songwriting and production points if needed. 3. Membership in HowToLicenseYourMusic.com, entitling you to free tips and techniques, both business and musical – on how to license your music. B. $2,500 worth of Studio Arranging, Mixing and Mastering by Gary Gray Productions. C. Direct Shopping of your music to Music Supervisors, Publishers and Music Industry A&R Personnel by Gary Gray Productions, with written responses from each Music Industry Pro direct to you. 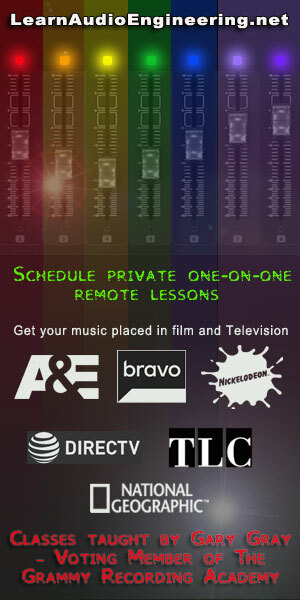 D. A Free Skype or In-Person Consultation with Gary Gray, Voting Member of the Grammy Recording Academy. 4th, 5th and 6th Place Winnners will receive B, C & D above. 10 Runners-Up will receive C & D above. The International Music Licensing Contest is unique. This contest includes a 100% No-Strings-Attached agreement for all entrants and winners. The contest as an organization and individuals within the organization does not and will never own ANY part whatsoever of any entrant’s or winner’s publishing, writing, master recording or intellectual property rights, and there are implicit and specific agreements with each winner specifying that absolutely no partnership is being created or implied by participating in the contest. Our goal is to promote deserving winners and their works with no-strings-attached, enabling the artist to be in the strongest possible negotiating position with regards to closing licensing deals. The more licensing deals we help you close, the more positive word-of-mouth we will create in the world-wide independent musician market. Each professional connected with the IMLContest is motivated by the duty to help other musicians, just as we were helped on the way up – not by profit. We believe that this approach will, in the long-run, create a higher number of individuals entering our contest and benefiting from the rewards that every entrant and winner receives. DEMOS and FINISHED PRODUCTIONS. These two categories are judged separately, so anyone can win. Simply make a note of which category you are entering in the description box on your Soundcloud page for that recording. B. Fully produced, engineered, mixed and mastered recordings referred to as FINISHED PRODUCTIONS. Aaron, an Alumnus of the prestigious Berklee School of Music, is one of the Music Industry’s top experts on Licensing Music. Besides making a 5-figure income year after year through licensing, Aaron also helps other musicians spin their music “into gold” — mentoring and teaching musicians all over the world how to place their music in Films, Television, Video Games, Commercials, etc., through the online phenomenon he founded: HowToLicenseYourMusic.com. Aaron heads the panel of judges at IMLContest.com. Aaron is an accomplished and prolific singer-songwriter-guitarist and is considered one of the best soloing guitarists in the music industry. His most recent licensed recordings, “Headed Home” finds Aaron’s music being featured in Movie Theatres across the U.S.starting in January 2015. Gary, a Voting Member of the Grammy Recording Academy and founder of LearnAudioEngineering.net, heads Gary Gray Productions. Gary will be launching a new record label, GrayJay Records, in 2016 — producing and distributing not only digital releases of all signed artists, but Vinyl Records as well. Gary is also an official judge for the Cleveland Rock-Off, held yearly at the Rock-and-Roll Hall of Fame. Gary received a music scholarship to Northwestern University in Chicago and also attended Baldwin-Wallace College for composition and orchestration. He toured internationally (drums/percussion) with the Cleveland State Jazz Band. An accomplished studio/live drummer (he played for Motown Records under Berry Gordy and Suzanne De Passe), Gary also plays keyboards, bass and guitar in the studio. His client list as a producer/engineer/orchestrator includes the Disney Music Group, Concord Records and Aaron Davison, as well as Independent Musicians from around the world. Gary just signed a 12 Song Exclusive Licensing Contract with World-Wide leading music licensing firm Megatrax. Gary is the resident Producer/Engineer for HowToLicenseYourMusic.com, where he teamed up with Aaron to produce courses on how to mix and master music for licensing. Gary arranged, produced, mixed and mastered Aaron’s album, “Headed Home,” with the title track being signed to a licensing deal a few months after release. In April of 2010, Kevin, also a graduate of the Berklee College of Music, was asked by his Mentor, the legendary film composer A.R. Rahman, to join A.R. on his year-long “Slumdog Millionaire” world tour where he handled keyboards, production of the protools backing tracks, created and supervised all musical/digital cues, coordinated with lighting and stage directors, and was tasked with building a touring computer rig that would run the entire 3 hour show. On a similar show in India mid-2012, Kevin’s services were needed once more but with less than a week’s preparation, Kevin pulled off a virtually impossible task: he learned the accordian parts to a very popular piece at the time, and was asked to play the solo with a full 85 piece Orchestra behind him. When Kevin was given the task, he went out and borrowed an accordian and practiced until he got it perfect. To give you an idea of Kevin’s character and abilities – he never played accordian before that. Someone evidently thought Kevin was an accordian player, and when he was given the task, he jumped right on it. Since then, Kevin has gone on to become the lead composer for A.R. and has launched his own successful Film Composer career. He has held the position of composer, music editor, sound engineer and recording engineer for over 30 films. In just 2014 alone he has completed working on six major projects, including “The Legend Of Hercules,” “The Hundred Foot Journey” and “Million Dollar Arm.” Kevin regularly works with top Music Supervisors and Publishers in the industry. Like Gary Gray, Khaliq Glover has worked with and learned from Quincy Jones. 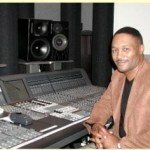 A Grammy-Award Winning Engineer, Khaliq’s Top A-List clentele includes artists such as Prince, Herbie Hancock, Marcus Miller and Michael Jackson. “Watching Quincy Jones instruct and guide everyone but at the same time, letting the professionals that he hired do their thing too. That’s why he hired them. But he was so observant, that he could come in and change a sharp here, an eighth note there, and make it all gel together. He knew exactly what needed to be done for the final polish. Over the years, I’ve seen certain patterns re-appear time and time again. One of the biggest SECRETS is that they don’t ever fall in love with one part. They will mute or erase it in a heartbeat and not feel that it has to be used just because it was recorded and you really like what you or they did. If it doesn’t Easily Fit into the song during mixing, It’s out of there.” Khaliq, a.k.a. Khaliq-O-Vision, brings a wealth of wisdom, knowledge, contacts and experience to the IMLContest. Deadline has been extended to: February 14, 2017. Winners will be announced via email by March 14, 2017. The International Music Licensing Contest is unique. The IMLContest includes a 100% No-Strings-Attached agreement for all entrants and winners. The contest as an organization and individuals within the organization never own ANY part whatsoever of any entrant’s or winner’s publishing, writing, master recording or intellectual property rights, and there are implicit and specific agreements with each winner specifying that absolutely no partnership is being created or implied by participating in the contest. Our goal is to promote deserving winners and their works with no-strings-attached, enabling the artist to be in the strongest possible negotiating position with regards to closing licensing deals. The more licensing deals we help you close, the more positive word-of-mouth we will create in the world-wide independent musician market. Each professional connected with the IMLContest is motivated by the duty to help other musicians, just as we were helped on the way up. We believe that this approach will, in the long-run, create an even higher volume of individuals entering our contest and benefiting from the rewards that every entrant and winner receives. The IMLContest is also unique and, we believe, more realistic for any and all independent musicians in it’s approach to how Judging is done. There are TWO very different types of entries accepted. DEMOS and FINISHED PRODUCTIONS. These two categories are judged separately, so anyone can win. Simply check off which category you are entering (“DEMO” or “FINISHED PRODUCTION”) in the description box on your Soundcloud page for that recording. 1. Recordings are judged in two separate categories, A) Demo Entry or B) Finished Production Entry. 1B. Finished Production Entry. In this category the production value of the recording is closely judged, using commercially successful recordings in similar genres as a comparative yardstick. Besides the production value, the overall concept, melody, lyrics (unless the entry is an instrumental piece), style, form (intro, verse, chorus, etc) and relevancy to the International Music Licensing market are all closely listened to and graded. IMPORTANT: For those entering the Finished Production category: Since many Music Supervisors, Publishers and Industry A&R Professionals require instrumental versions of recordings that contain lyrics, you will have a much better chance of landing a licensing deal if you have instrumental version of your recording available. Some Music Supervisors, Publishers and Industry A&R Professionals also ask for shorter edited versions of each recording and various re-mixes. Therefore, whether you are producing and engineering your own recordings, or having someone carry out these functions, you also have a much better chance of landing licensing deals if you have full access to the original recording session files. For those entering the Demo category, it is also a good idea for you to have full access to the original recording session files, in case any recorded tracks are used in the final mix and master. 2. International entries from all countries are welcome. There are no limitations of age or nationality. Anyone under 18 must ensure that their parent(s) or legal guardian(s) sign any forms or agreements in their stead. 3. Songs should consist of the contestant’s own work and should not infringe upon any copyrights or any other rights of any third parties. An exception is that a song that contains elements of another work may be accepted provided this is made clear by the entrant on entry, but in such cases the unoriginal part will not be judged and only the original parts will be judged. Legal clearances for use of third party elements are the sole responsibility of the entrant. The IMLContest is not liable for any breach of copyright law or licensing laws or protocol by the entrant. Any breach discovered disqualifies the entrant from the IMLContest. 4. Entrants must carefully check audio files and links before entry. It is the entrants responsibility to check that submitted recordings and files are playing correctly before submitting their work. In the case of links to online songs these links must be correct and the song must be publicly available (with no passwords etc required) on the page specified and clearly visible to judges and must remain there until results are announced. If faulty non playing recordings are submitted, or an invalid link is submitted, the entry will be marked void by the judges and there will be no refund. NOTE: Unlike other contests which charge a 2nd entry fee to change a submission, entrants in the IMLContest ARE allowed to replace recording files after initial entry (as allowable by Soundcloud.com), but know that on the day the version is judged, that version will be considered the version legally entered into the contest. Therefore, if you do re-upload a song on Soundcloud after entering, be sure to save all previous uploaded versions. 5. Contestants may enter as many songs in both Demo and Finished Production categories as they wish and there is no limit on the number of songs that may be entered. Contestants may also enter the same song in more than one category (a separate entry fee is required for each category entry). Entry fees are non-refundable. 6. Each recording entered will entitle the entrant to a detailed pdf critique of that composition with reference to its strengths or weaknesses as relevent to the Music Licensing market, and suggestions, if needed, on how to strengthen the chances of that recording or composition becoming successful in the International Music Licensing market. Each entrant will also receive the free e-book “The Home Studio Bible” and newsletters and free services from HowToLicenseYourMusic.com. 7. All prizes are non-transferable and will be awarded to the first full name as it appears on the entry form. In the case of co-writers the fair division and distribution of prizes among writers is the responsibility of the winners. Responsibility for the fulfilment and delivery of prizes resides with the relevant partners and sponsors and the IMLContest shall take no part in any disputes therein arising. The International Music Licensing Contest reserves the right in its sole discretion to substitute any and all prizes with prizes of comparable value. 4th, 5th and 6th Place Finalist Winners will receive B, C & D above. Ten Semi-Finalist Winners will receive C & D above. Affiliates, Family Members, Partners, Employees or Contractors of IMLContest or International Network Transactions, LLC are not eligible to enter the International Music Licensing Contest. 8. It is the entrants responsibility to provide correct contact details when entering the contest and to ensure that they can receive emails from the contest. Prizes and emails will be sent to the contact email address supplied on entry. If the contestant does not see or receive prizes or notifications or emails because they provided an incorrect email address, or because they failed to check their spam folder, or because their email account is over limit, or because they have a spam blocking system in place that requires verification from the sender, or because they failed to check their emails, or for any other reason, the IMLContest will bear no responsibility or liability. 9. All winners will receive a certificate from the IMLContest via email. 10. The Free Sonic Breakthrough Consultation with Grammy-Award Winning Engineer Khaliq Glover will be delivered at the end of the contest deadline. 11. Entry in The IMLContest constitutes permission to use winners’ names, likenesses, recordings, videos and voices for promotional and publicity purposes on The IMLContest websites and on other third party websites and in publicity and promotional materials and press releases. This permission can be withdrawn by the entrant at any time upon written request. 12. Entrants retain full song ownership rights and all copyrights to all songs submitted. Entering the contest does not in any way affect the writers’ ownership of their songs. Any licensing deals assisted by The IMLContest does not include any obligation on the part of the entrant and/or winner to The IMLContest. There is no specific or implied partnership created by entering and/or winning The IMLContest. 13. Songs may have multiple co-writers. All co-writers’ names should be entered on the entry form. Co-writers names should be seperated by a slash and space (eg: first writer / second writer / third writer) to ensure that names appear correctly on the certificates. 14. When an entry is received numerous and complex administration steps are followed and song is sent to judges for judging and the entry fee covers this provision of the initial administration and judging procedures relating to each entry. The entrant agrees and understands that there shall be no refunds of entry fees for any reason as these services will have already been provided to the entrant immediately on receipt of the song submission. 16. By participating in the contest entrants agree to be bound by these rules and by any subsequent published revisions of these rules and by the decisions of The IMLContest which are final in all matters relating to the contest. 17. Deadline is February 14, 2017. Winners will be announced by email and on the IMLContest website by March 14, 2017. Deadline and rules are subject to change. Refer regularly to IMLContest.com for updates. IMLContest, administered by International Network Transactions, LLC, reserves the right to update the deadline and/or rules at any time. Each entrant agrees to abide by all Rules & Regulations of this contest by the fact and action of entering the contest.